The Maxwell Club, the oldest football club in America, announced on Thursday that Packers Head Coach Mike McCarthy and QB Aaron Rodgers are two of their award winners for the 2011 season. 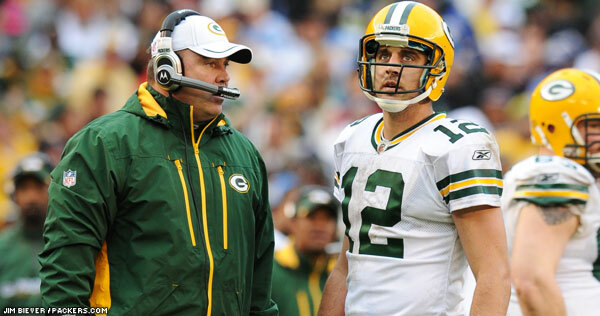 McCarthy has been named the winner of the 24th annual Earle “Greasy” Neale Award as the NFL’s most outstanding coach, while Rodgers is the winner of the 53rd annual Bert Bell Award as the most outstanding professional football player. Rodgers becomes the first Packers player to win the Bell Award since 1996, when Brett Favre did. McCarthy and Rodgers will be honored on Friday, March 2, at the 75th Maxwell Club National Awards Gala at the Harrah’s Atlantic City Resort. Among others receiving awards that night will be Stanford QB Andrew Luck (Maxwell Award), LSU CB Tyrann Mathieu (Chuck Bednarik Award) and ESPN Monday Night Football announcer Mike Tirico (Harrah’s Broadcaster Award).